People often ask, where Rossi1931 is located. Where are the offices, the presses, and the warehouse? Of course everyone knows Rossi is in Italy, but not everyone knows from what region. Borgo San Lorenzo is located in Tuscany, close to the Apennines, and approximately 30km northeast from the City of Florence. The town itself comes under The Mugello commune of the District of Florence, an area steeped in the history of the Medici Family. The territory known as Mugello is an area in northern Tuscany, a few kilometers north of Florence. The region was once occupied by the Etruscans who left many archeological traces and who built the first road network of the Mugello. The area of Mugello is a wide, green valley crossed in parts by the Sieve River, one of the major rivers that flow into the Arno River, Tuscany’s principal river which also flows through Florence. The Mugello is striking because of its natural beauty and the diversity found in its landscape, which goes from rolling plains to hills, and to mountains. Borgo San Lorenzo rises along the left bank of the Sieve River. 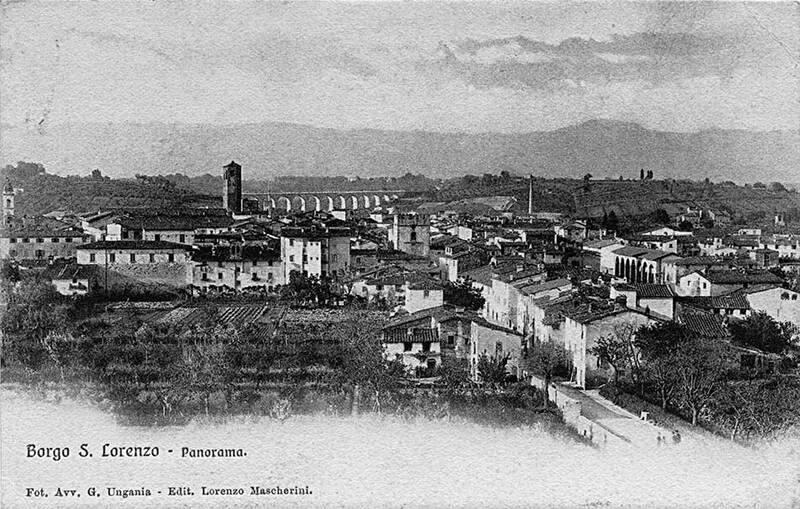 Historically, it has always been the most important town in the Mugello area thanks to its strategic position near the two roads that link the valley to Florence. The town was founded in a place where an ancient Roman village called Anneianum once stood. Following the departure of the Romans, the villagers renamed their town after the local church of San Lorenzo and the name has remained the same since. In the 13th Century, Borgo San Lorenzo played an important part in the negotiations between the supporters of the Empire and the supporters of the Pope. It was at the end of this Century that the town came under the control of Republic of Florence. Also, during that time several patrician families of the area built villas there, such as those of the Medici. As part of its defenses, the Florentine Republic fortified the town in the mid-fourteenth century and established 4 entrances. Today, parts of two of the arched entrances are still visible – the Porta Fiorentina (Florentine Gate) and the Porta dell’Orologio (Gate of the Watch). The fortifications helped protect the town through the centuries, including repelling an attack by the French in 1527. The town did indeed suffer some damage during World War II, but the town center was completely restored. In contrast to many other towns in the region, Borgo San Lorenzo does not solely rely on tourism. Because of its strategic importance close to main roads leading from Florence north, Borgo San Lorenzo has many industries and businesses which drive its economy. The economy of the town is active in the agricultural and industrial fields, but it is also fostering a booming crafts-trade of artistic pottery. It’s also the home of The Mugello Circuit race track which is one of the best-known Formula One test race tracks in Italy. It was originally a road circuit and the first motor race here was held in 1914. Among the legendary names linked to this track are Brilli- Peri, Enzo Ferrari (who won in 1921 in an Alfa Romeo class 4.500), Borzacchini and Emilio Materassi. 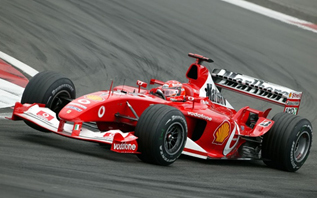 Now, more famous as the home for the Italian Moto GP motorbike race, it is also the track where Ferrari regularly test their Formula 1 race cars. 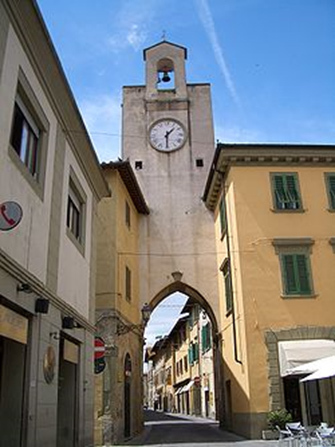 The Parish Church of San Lorenzo (Pieve di San Lorenzo ) at the center of town has origins dating back to 941 AD and the bell tower – still in use today – was added in 1263. Within the church you can see works of art by Giotto and Rosselli. It is the biggest Romanesque construction in Mugello. There is a vast collection of works of art held within the church which is testimony of its past importance. Among these are: Madonna, attributed to Giotto, a panel of the Crucifix from the school of Giotto, Madonna on the Throne with Child by Agnolo Gaddi, The Virgin and the Saints Francis and Domenic by Matteo Rosselli. Just left of the Oratory, is the immense San Francesco Church. It holds an extensive nave in Gothic style, the remains of 14th century frescos, and a chapel, all made from bits of pebbles from the river. Pecori Giraldi Palace: Constructed on the site of an ancient Giraldi property, in 1748 it passed into the hands of Count Pecori who gave the property both his name and the former owner’s. 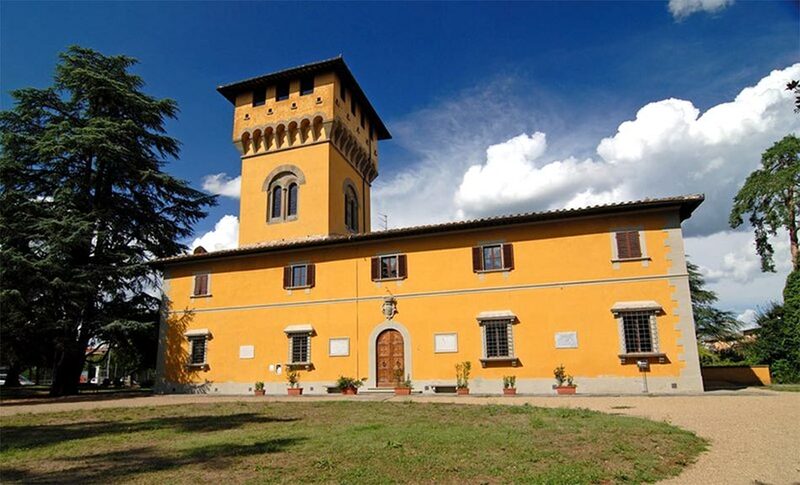 In 1979, the family donated the building to the town of Borgo San Lorenzo. The façade is in Renaissance style, but the interior halls have both geometrical and floral frescoes, and reproductions of medieval works created by Galileo Chini in the early 20th century. In 1897, Galileo Chini, who originally founded a ceramic artwork factory in Florence called, Arte della Ceramica, opened his new factory in Borgo San Lorenzo under his personal artistic direction. The Villa Pecori Giraldi is now home to the Chini ceramic museum. It has samples of the ceramics, stained glass, drawings, and decorations of Chini’s “Arte della Ceramica” and of the San Lorenzo Furnaces of the Chini family. An interesting section is dedicated to reconstructing the manufactory’s working phases. 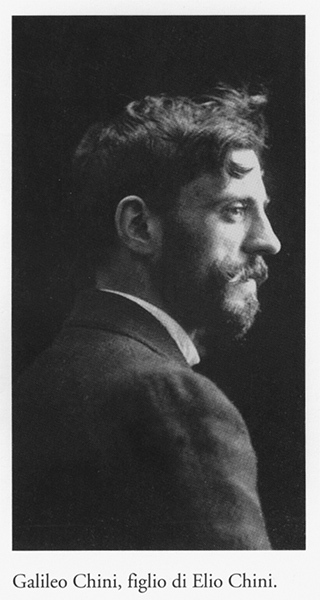 At the beginning of the 20th century Galileo Chini became one of the major representatives of “Art Nouveau” (also known as Liberty style) in Italy and by 1906 his fame as an artist had reached the Far East.